Sometimes after cooking a delicious dinner my hands and fingers will still smell like garlic! 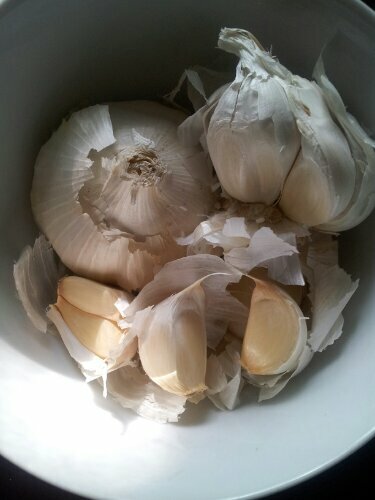 As much as I love garlic, having the stale smell of it on my hands is not appetizing. 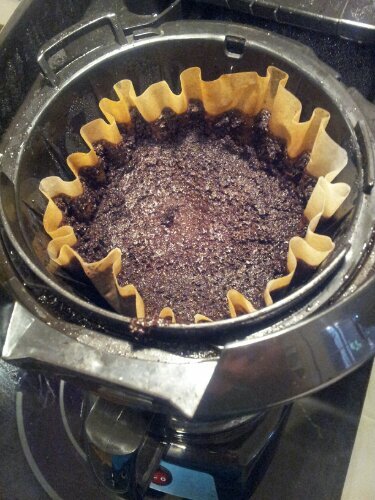 Here is a way that has worked for me to help take the smell off. 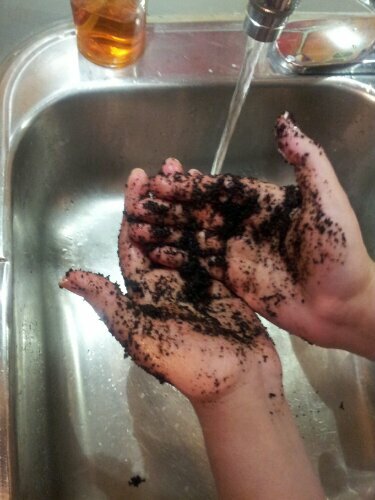 Rub used coffee grinds all over your hands and then wash off with soap and water! Works great! Hands will smell like soap and the garlic will be gone!